There are roughly 8.5 million people who can claim Puerto Rican heritage and ancestry in the world. Nearly three out of every five live on the US mainland. For the young people of Puerto Rican heritage and ancestry who grow up in NYC and the United States, who and where are the cultural heroes and icons they can admire? As an artist and educator, I grappled with this question. I had a simple idea. 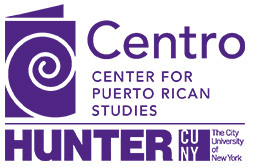 Yes, we can all celebrate our pop icons of Puerto Rican heritage like Jennifer Lopez and Ricky Martin, but let us pay tribute to those Puerto Ricans, those Nuyoricans who “han corta’o la caña pa’ abrir el camino.” Let us pay homage to those who have paved the way for years and are still in the forefront of the fight for recognition, parity, and equity for all Puerto Ricans. Let us pay homage to those who have laid this foundation in the de facto Puerto Rican capital of the world: New York City, with nearly double the Puerto Rican population of San Juan, the capital of the island. This is the driving force behind the photo series HOMENAJE. The exhibit, consisting of 17 by 11 horizontal posters, is my way of paying tribute to our Puerto Rican people and our voices. It is my way of recognizing our heroes and introducing them to a new generation of Puerto Ricans on the mainland. To that end, each portrait is accompanied by a loosely biographical story that reveals each hero’s unique personality and idiosyncrasies. The posters are strung together in different configurations using clotheslines and clothespins—reminiscent of how clothes were dried in the old days from tenement windows and how clothes are still dried in many places in Puerto Rico. Some of the cultural icons who are featured in HOMENAJE include writers/poets Nicholasa Mohr, Miguel Algarín, Dr. Nancy Mercado, Dr. Myrna Nieves and Jesús Papoleto Meléndez; opera singer Eva de la O; musicians Johnny Colón, Bobby Sanabria and Orlando Marín; artists Marcos Dimas and Nitza Tufiño; activists Terésa Santiago, Sery Colón and Jaime Estades; choreographers Merián Sóto and Arthur Áviles; and boxer Carlos Ortiz. HOMENAJE opened October 15 at Camaradas El Barrio Restaurant in Spanish Harlem as part of Hispanic Heritage Month. It has been traveling across the city since then and will continue to do so until January 2016. For the end of January and for all of February, the exhibit will be displayed in different venues in Manhattan Valley including Adel Liquors, Appleseed Tutoring, and West Side High School. In the spring, HOMENAJE will be traveling to Boriken Neighborhood Health Center, Casabe Houses, and UPROSE (Sunset Park section of Brooklyn). Beginning with this issue, VOICES will be featuring one hero per month as HOMENAJE travels across the city, updating readers on the exhibit’s next stop. We kick off with Afro-Boricua hero, lauded poet/writer/educator, and beloved Nuyorican icon—Miguel Algarín. A good friend to Centro, Algarín donated his personal papers to our Archives and is one of our 100 Puerto Ricans. “Mira, come over here and hold my hand,” says the great Miguel Algarín to me as he, Nancy, Carlos, and I are walking together looking for a bar that has really good margaritas for a happy hour price. Miguel is one of the founding fathers of the whole Nuyorican poetry movement and he is the father of the Nuyorican Poets Café. It is not every day I have the opportunity to hold hands with a god. “No, no, not like that. Like this.” Miguel separates my fingers with his so that each of ours is intertwined. He pulls me close and begins to speak in a soft whisper, the words slowly stretching and flowing like melted caramel poured over apples. Miguel is the author of more than ten published books of poetry, the editor of several anthologies including Aloud (considered by many to be the bible of street/urban poetry), and an accomplished writer for television and theater. He has received three American Book Awards and he is the first Latino to win the Before Columbus Lifetime Achievement American Book Award. If he needs to hold onto me as he walks, I am honored. We make it maybe five steps before he stops me again. The pretty blonde’s boyfriend squeezes her hand tighter. Miguel does the same with mine. As if reading my thoughts, Miguel turns to me, “Those eyes. Those lips. Which one will you let me kiss first? The top one? The bottom? You choose. I wait with anticipation.” He winks. I smile. We continue holding hands and walking and talking. The Professor Emeritus of Rutgers University, the man whose mission it has been to enlighten and empower his people, the man who has fostered and supported and motivated artists of the written and spoken word for nearly forty years; this man continues to hold my hand as we walk through the streets of the Lower East Side. He doesn’t let go until we are at least one block away from the margarita bar. To nominate someone, to assist with the exhibition, to voluntarily provide exhibition space or to provide financial support for the project, please contact Ricardo at coquichuloimages@yahoo.com. Nominees for HOMENAJE can come from anyone in the greater Puerto Rican/Nuyorican community, and will be chosen by an anonymous panel of elders and experts representing various fields and industries. © Ricardo Muñiz. Published by permission in Centro Voices on 4 February 2015.